10-episode dramedy sequel 'Armistead Maupin's Tales of the City' just released its first trailer, and it's due to hit Netflix on June 7th. Entertainment 10 April, 2019 . Written by Cassia Gaden Gilmartin. 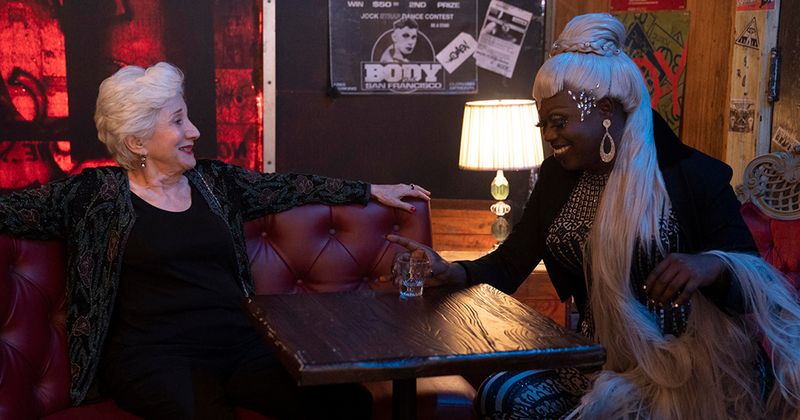 Neflix’s sequel to the 1993 miniseries Tales of the City finally has a release date – and it will debut just in time for Pride, with the first of 10 episodes slated for June 7. A trailer released on Tuesday shows the residents of Barbary Lane back in action, with some new faces thrown in for good measure. Tales of the City began life as a column by Maupin in the San Francisco Chronicle, which became a series of nine novels published between 1978 and 2014. The books, in turn, spawned a wildly popular PBS miniseries – and when PBS back out of any further instalments thanks to a cold reception of its LGBT+ content by conservative audiences, the series was taken up by Showtime for More Tales of the City in 1998 and Further Tales of the City in 2001. This year’s Netflix revival will see Laura Linney and Olympia Dukakis return to the starring roles they played in the PBS and Showtime instalments. The show will once again centre on Mary Ann Singleton (Linney), introduced in the original series as a naive young Midwesterner who impulsively decides to stay in the sexually liberated San Francisco of the 1970s after a vacation. The new trailer sees Mary Ann return to present-day San Francisco, where she is reunited with her daughter Shawna (Ellen Page) and ex-husband Brian (Paul Gross) twenty years after leaving them to pursue her career. She’ll also find herself reunited with her found family, including eccentric landlady Anna Madrigal (Dukakis) and a colourful cast of LGBT+ characters. Showrunner and executive producer Lauren Morelli – best-known for her work on Orange Is The New Black – believes the time is right for a revival. This June brings the 50th anniversary of the Stonewall uprising in New York, seen today as the symbolic beginning of the LGBT+ rights movement, and Morelli is excited to mark the occasion by introducing Tales of the City to a new audience. In order to ensure an authentic portrayal of the San Francisco LGBT+ community, an all-queer team of writers was assigned to work on the show. This entirely LGBT+ writers’ room includes Andy Parker, Patricia Resnick, Marcus Gardley, Jen Silverman, Hansol Jung, and Thomas Page McBee. The show is also packed with LGBT+ writing and directing talent, with contributors including LGBT+ directors Silas Howard, Sydney Freeland, Stacie Passon, and Kyle Alvarez as well as trans actors such as nonbinary actor Garcia, Jen Richards and Daniela Vega. 10 April, 2019 . Written by Cassia Gaden Gilmartin.